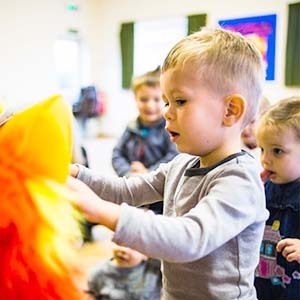 Mini Maestros parties are designed to provide fun, educational entertainment for children, leaving the adults free to focus on organising those other, all-important aspects, like food. Naturally, our children’s party activities can be specifically tailored to suit the individual group. 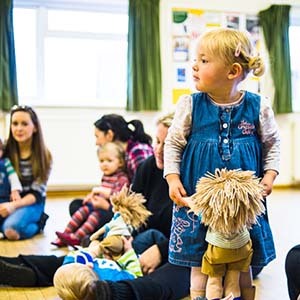 Mini Maestros can enhance any lesson plan or event by hosting bespoke workshops in pre-schools, private nurseries or foundation units. Mini Maestros already visits Toybox and Future Einsteins Day Nurseries in Wakefield on a regular basis. In addition, we continue to provide specially tailored music sessions at St Peter’s Playgroup, Stanley, St Johns Preschool, Lofthouse Gate Primary School, the Childminder group at Stanley Children’s Centre and at Abacus Day Nursery, Pinderfields Hospital, Wakefield. We’re always happy to discuss how we can make a party or workshop just right for your group. Please contact us.